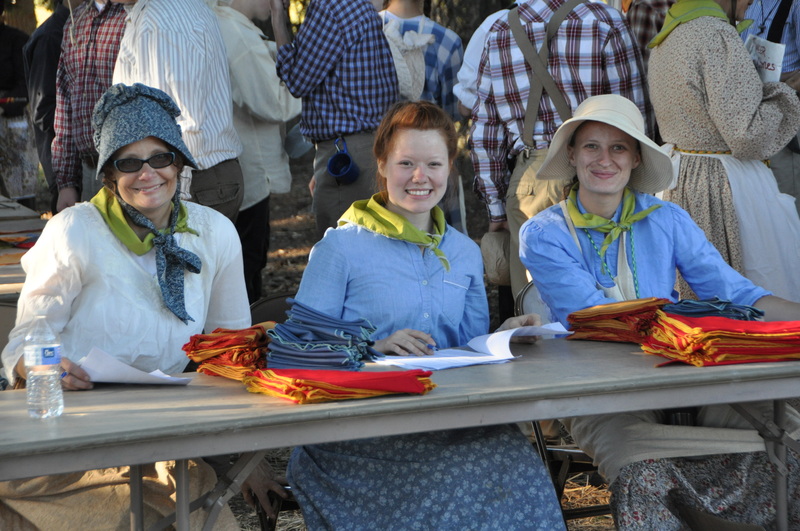 This summer I had the opportunity to be a staff member of the youth trek for our stake. In some ways I was at trek, but I wasn’t necessarily a part of trek. While I had a lot of fun with my fellow staff members supporting the youth and fulfilling assignments I wasn’t able to participate in very much of the actual “work” of the trek. I never pulled a handcart. I didn’t ever walk an entire day’s journey and my accommodations were relatively deluxe. I mean, I had deodorant and toothpaste! There were times, such as after the testimony meeting, that the trek families all stood up and hugged each other and I recognized that I was just on the fringes of this event. With that experience in mind, on the last day as the families were saying their farewells to each other I just started walking around and joining the hug groups and saying “Thank you for being in my family!” One young women, with true concern for my sanity, said to me “Um, do you know you weren’t in my family?” She was wrong. I had the best family because it included not only every single stake staff member (who truly felt like family by the end) but every single one of those beloved youth. The youth were all assigned to families with our wonderful volunteer Ma’s and Pa’s and one of my jobs was to help assign the youth to their families and help with registration. I will never think of an activity where the participants are divvied up into groups the same way again. Assigning youth to their parents was an incredibly wonderful, but challenging assignment that required far more organization than is my nature. As we made the decisions for these young men and women, some of which were well known to us, but others we were unfamiliar with, we had to rely on the Spirit to guide us in our efforts. It was not a task that we could accomplish alone, we had to rely on the Lord. As I poured over these names for hours I grew to love these kids, these names on slips of paper, pink for girls and green for boys. I was given insights into their character as we pondered where to place them. As I introduced myself to kids throughout the week of trek those small glimpses of who they truly are kept flashing back to me and I felt the most incredible love towards them. The thought that had the greatest impact on me through the process of building these families was that I imagine that at one time Heavenly Father went through the same process with us. I imagine he had much more efficient means of organization and a perfect knowledge of our true character, but I wonder if he felt the burden as he placed us in the families that would give us the most chance of success. Success for these youth didn’t always mean that they would have a great time, each of them needed something different to learn the lesson that was applicable to their lives, but we were striving to give them the best chance of success nonetheless. I wonder if he did as we did and had people that he set aside because they were great souls who could thrive wherever they were placed. I wonder if he had some who he took extra care to make sure they were in supportive loving families. And I wonder if he had to change things around as the plans of all the different people came and went. Did he rejoice at the “late registrations” of those who chose to come to Earth? Did he mourn the people that decided not to come? I imagine that whatever his process, he was filled with a perfect love for each of us. It’s hard to imagine that spending four days trekking around the wilderness using questionable hygiene practices could result in life changing and building experiences. The journey was hard. 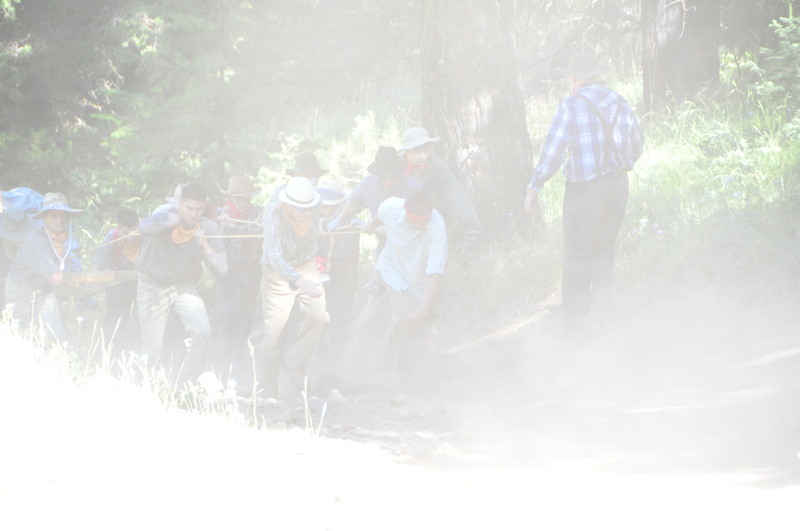 The kids were thirsty, tired, hungry and most of all, dusty. The success of the endeavor is astounding to everyone that knows the amount of things that could, and did, go wrong. However miracles occurred over and over again and I don’t think any of the things that went “wrong” directly affected the experience of the youth. These kids were blessed as they learned they could do hard things. That when things are tough sometimes the only thing they get to decide is their attitude. As I pondered why this activity was so successful an unexpected thought came to mind. 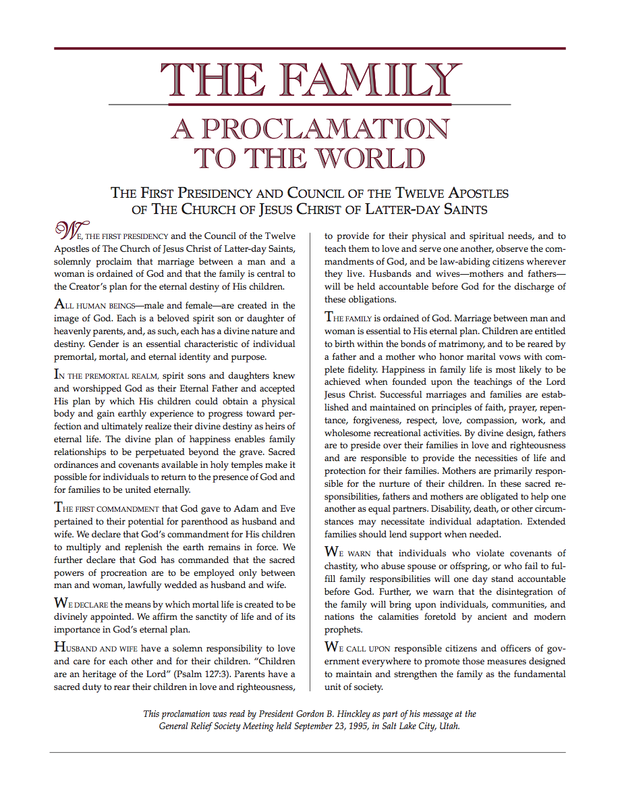 The Family: A Proclamation to the World. I began to see that many of the blessings and happiness we experienced on trek were because it is a family centered activity. For four days every single one of those youth, regardless of their true homes and families, got to be in an ideal family situation. They each had a mother and a father who loved and cared for each other and their trek children. I noticed that when lives were boiled down to the true basics women naturally fulfilled their roles as nurturers and the men presided in love and righteousness. There are many ways to be a nurturer and a provider, and I saw the youth use their personal talents and strengths to fulfill the roles that came naturally to them. I saw more acts of gentlemanly behavior from those wonderful young men than I see at youth dances. I saw the young women mourn with those who mourned and strengthen those who stood in need of strengthening. I saw families that were founded upon the teachings of Jesus Christ, with faith, prayer, repentance, forgiveness, respect, love, compassion, work and wholesome recreational activities. I saw that as the participants of the trek followed the principles declared in the proclamation they were blessed accordingly. They were happy. The work was hard, but enriching. Although they may have started the week as relative strangers, they created bonds that are stronger than the length of trek would indicate. As one trekker put it, although they were not biological families the “trekkical” families became means of great support to the members not just during trek, but in the time since. I hope that we can all remember those blessed days in the mountains where we caught a glimpse of what happy family is like and strive to achieve that in our own families. Congratulations! You’re Pre-Approved for Salvation! As a “Ma” at Trek I was able to witness the divine hand of God in placing our family together. Each of us brought unique physical and spiritual strengths to the activity that when put into action as a hard working family unit created a noble and fierce body of warriors prepared and willing to stand together and fight for each other against the pressures of the world.